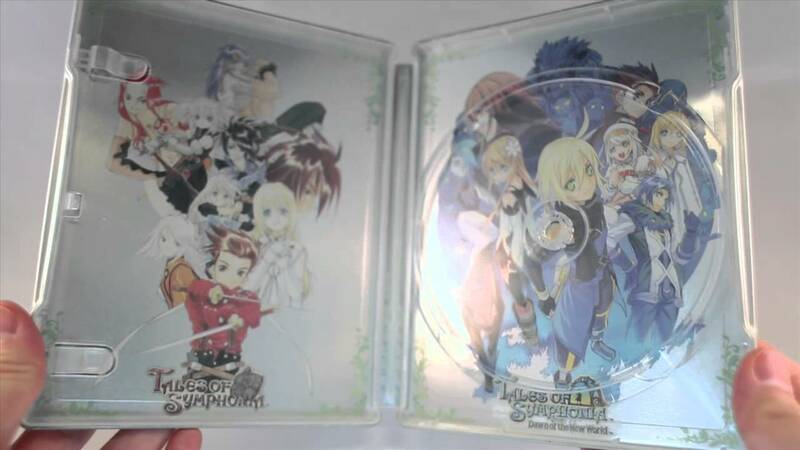 This is the US Collector's Edition for Tales of Symphonia Chronicles. Thanks for watching! Get it February 25th for the PlayStation 3 in North America! Experience the complete Tales of Symphonia adventure like never before with the Tales of Symphonia Chronicles. The bestselling original Tales of Symphonia has been remastered with additional content along with Tales of Symphonia: Dawn of the New World that tells the complete Symphonia storyline in a single package. Celebrate the 10th anniversary of the sweeping epic adventure that is Tales of Symphonia.